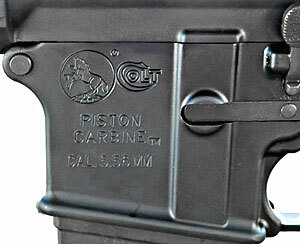 Six decades after the introduction of the M16, Colt has added a gas piston system to the venerable AR15. Colt put a gas piston in this new AR-platform rifle in order to improve reliability and reduce fouling. The new gas-piston Colt AR, designated the LE6940P, will be sold to both civilians and law enforcement agencies. In selling a gas-piston AR, Colt is following the lead of Heckler & Koch (HK 416) and other manufacturers who have found a market among buyers seeking a lower-maintenance AR with significantly less internal powder fouling than the original direct-gas-impingement AR design. The LE6940P weighs just over 6.5 pounds, and measures 35 inches with stock extended. The rifle is chambered in .223 Rem (5.56×45 NATO) and uses standard AR15 magazines. Colt delivers the LE6940P with a full-length rail running from the rear of the upper receiver to the front sight. This allows many mounting options for sights and accessories. Colt has also includes a back-up iron sight (BUIS) and a folding front sight. The lower receiver is marked “Piston Carbine” and comes with a Colt/Rogers Super-Stoc M4 H-buffer stock kit with cam-lock lever, push-button QD swivel, and accessory kit. The standard barrel is a 16.5″-long M4-type contour with flash-hider. CLICK HERE for large photos of the internals, plus close-ups of the folding sights. Share the post "Colt Releases New Gas Piston AR Platform Rifle — LE6940P"
Here’s a interesting new ammo option for air rifle shooters. Gamo Outdoor USA has introduced new Bone Collector® lead pellets featuring dome tips and grooved skirts. Gamo claims that the rounded nose and grooved skirt makes these pellets more aerodynamic (with a higher ballistic coefficient), so they retain more energy at longer distances. That’s good news for Airgun varmint hunters. The .177 pellet weighs 7.56 grains while the larger .22-caliber version weighs 15.43 grains. Gamo claims that the high weight-to-caliber ratio and higher BC gives Bone Collector® pellets “more terminal penetration than standard lead pellets” and a stable flight trajectory. MSRP is $8.95 per tin (150 pellets/tin in .177 and 100 pellets/tin in .22). Whether the Bone Collector pellets really live up to the marketing hype remains to be seen, but it’s still good to see some new offerings among pellet-makers. While Gamo is claiming that its domed and skirted pellet design is an innovative new aerodynamic design, sharp-eyed Bulletin reader Julio from the UK points out the the Gamo Bone Collector is a dead-ringer for the RWS Superdome pellet, which has been available for quite some time. Check out the photos and you’ll see the similarity. 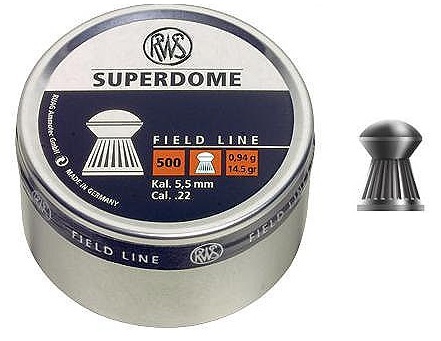 The RWS Superdome is available in three sizes: .177, .22, and .25. The Gamo Bone Collector pellets are a bit heavier in .22 caliber: Gamo’s .22-cal Bone Collector is 15.43 grains compared to 14.5 for the .22-cal Superdome. 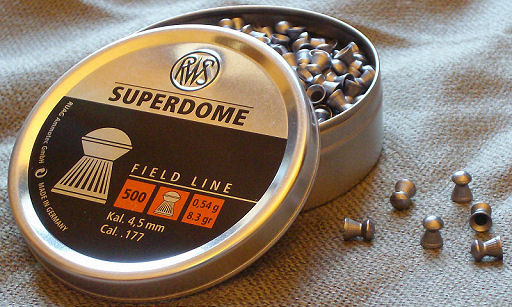 But the RWS .177-cal Superdome is 8.3 grains compared to 7.56 grains for the bone Collector. And Gamo has nothing to match the jumbo 31.0 grain .25-caliber Superdome. Share the post "New High Impact .177 and .22 Pellets from Gamo"
GOOD RESOURCE: If you want to learn more about using Milliradians and Mildot scopes, we suggest the excellent article The Truth about Mil Dots by Michael Haugen. This article explains, in considerable detail, the use of U.S. Army and U.S.M.C. 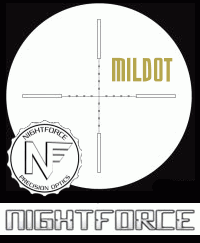 Mildot scopes. Haugen begins with basic definitions: 1 radian = 2 PI; 1 Milliradian (Milrad or ‘Mil’) = 1/1000th of a radian; 1 Milliradian = .0573 degrees. Share the post "Mil Radian Defined and Mildot Scope Use Demonstrated"